You have a production idea that requires an eye-catching feature. Looking for custom acrylic portable staging? 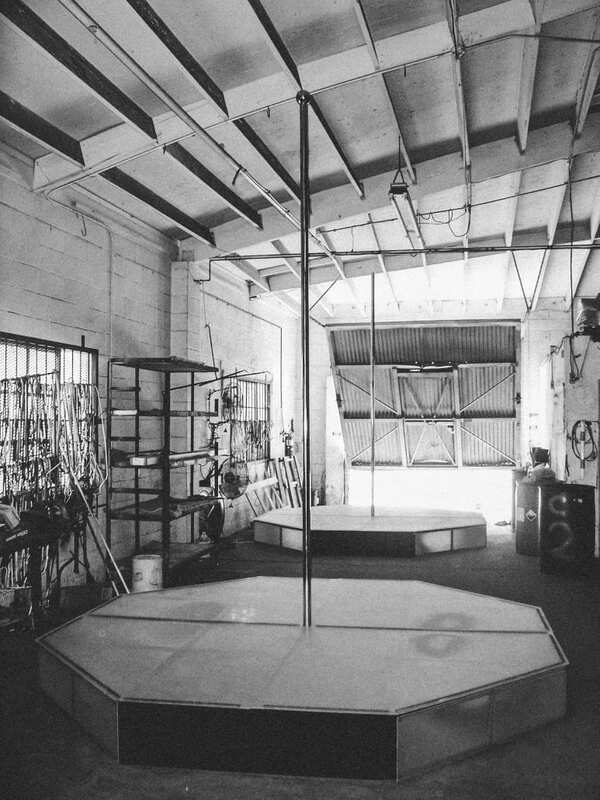 How about the largest portable stripper pole and stage in the world? The All Star Stages Grande’ at 10×10′ octagon steel frame acrylic, is quite the versatile portable acrylic steel stage. With or without the pole, the stage offers maximum commercial tolerance for acyrlic style staging that is portable by it’s efficient build nature. Approx 2 hrs build time. Also with the All Star Stages Acrylic Blocks we can create any stage layout formation. Looking for SteelDeck 4×8′ acylic slabs? A good relationship with our affiliate gives us access to over 1500 pieces of Steel Deck and over 100 4×8’s of acrylic steel deck for any layout and riser acrylic combination you can imagine. You Want El Grande’? You Got It. 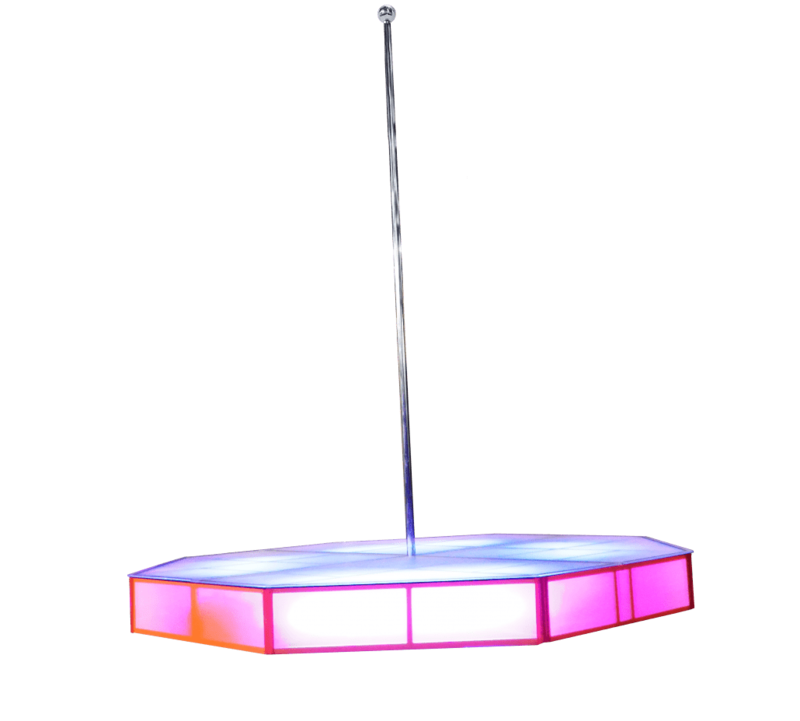 Pink or black acrylic side kits skirt around the stage creating a mega vibrant dance pole capable of holding over 24 people simultaneously. Vibrant actinic lighting kit. Astera kits avail.